Dr. Angela Batey Dr. Angela L. Batey is Associate Dean in the University of Tennessee College of Arts and Sciences. She is also Director of Graduate Studies of the School of Music, as well as Director of Choral Activities. 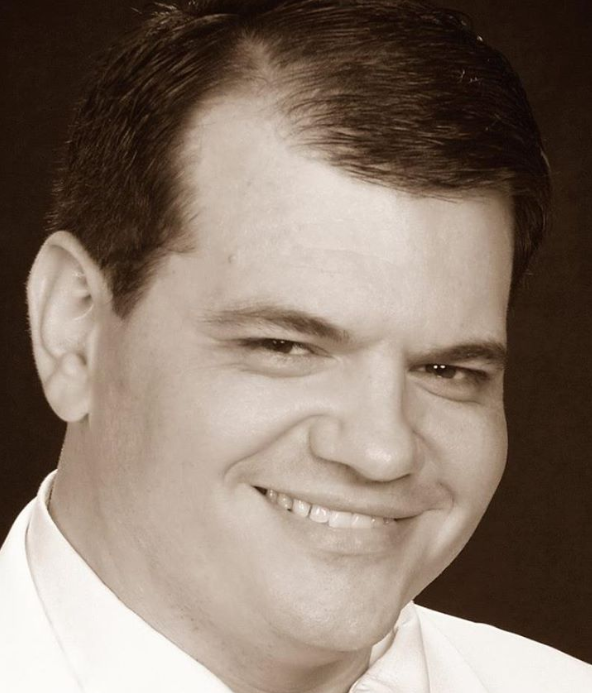 Dr. Batey is recognized as a prominent conductor, clinician, adjudicator and teacher whose wide variety of experience encompasses professional, university, high school, community and church choruses. She conducts the UT Chamber Singers, and teaches conducting courses at the graduate level. 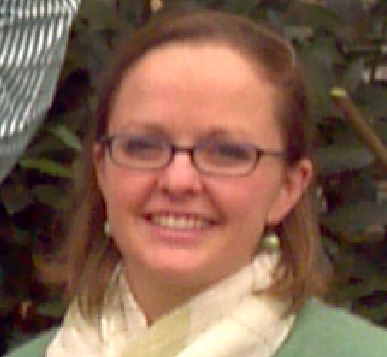 Additionally, she is Director of Music at Farragut Presbyterian Church. In June of 2007, she made her conducting debut at Carnegie Hall to a rare standing ovation. In July 2012, she took the UT Chamber Singers on an invited Cathedral Choral Residency to the Republic of Ireland and Northern Ireland, and in 2015 did the same in London and Canterbury, England. In May, 2017 the Chamber Singers sang an invited Choral Evensong at Washington National Cathedral. Next month she and the Chamber Singers will return to Ireland for a two-week tour. 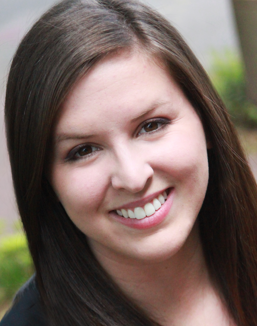 Dr. Batey holds two degrees from Birmingham-Southern College in music education and musical theatre; a master's degree from The Florida State University in music education and the doctor of musical arts degree in choral conducting from the University of South Carolina. Edmund Bolt Edmund Bolt is directing his twenty-fifth musical for Tennessee Valley Players with Anything Goes. He is especially honored to be working once again with Dr. Angela Batey, Musical Director, for the fourteenth terrific summer. This super cast of thirty-six talented singers and actors brings this Cole Porter show to life once again. Edmund has appeared in Clarence Brown Theatre and other area productions since 1972. 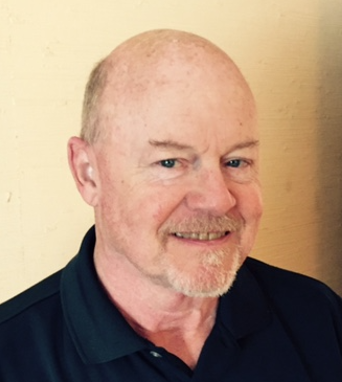 He is proud to be one of the original founders of Tennessee Valley Players in 1980, where he has produced shows, built sets, coordinated props and costumes as well as performed and directed. For many years, he has served on the UT School of Music's Board of Advisors, whose purpose is raise funds for scholarships for UT School of Music students. He is fortunate to be doing what he loves to do, sharing live theatre with the Knoxville community. He is grateful to be able to share his love of theatre with his wonderfully supportive family. Nicole Jackson Nicole Westwood Jackson has been ecstatic working with the cast in her first Tennessee Valley Players production. 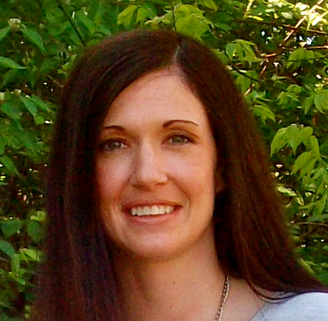 Nicole is a graduate from Southern Utah University with a bachelor's degree in English. She has taught at the high school level for seven years, but her passion is dancing. Nicole has been teaching dance for 20 years. She has coached many dance, drill and cheerleading teams, and several have taken titles and awards. She started doing choreography for musicals at Karns High School three years ago and has enjoyed this different genre of dance. She wants to thank her family for their love, support and patience as she has embarked on this journey. And to the cast, she wants them to know that they are amazing! Tami Newsom Tami Newsom is an accomplished musician and choral director and is proficient on a variety of instruments including the piano, organ, flute, and mountain dulcimer. 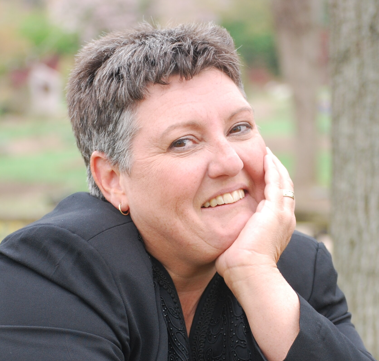 She is a Past-Dean of the Knoxville Chapter of the American Guild of Organists. She first began her musical career at the age of 6, learning to play piano. At age 13, under the guidance and tutelage of her music instructors, Robbie Roseberry and Peter Picerno, she began playing the organ at First Cumberland Presbyterian in Memphis, where she remained for 25 years. As an accomplished singer, Ms. Newsom was a member of a Memphis-based auditioned ensemble, The Wolf River Singers. Simultaneously, she was part of their elite Ensemble Singer program. She has sat in as a juried member in the euphonium section of many music students' final exams. 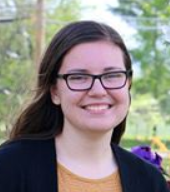 She is Associate Director of Music at Farragut Presbyterian Church and pursuing her second career as a double major in sacred music and religious studies at the University of Tennessee. Laura Bolt Laura V. Bolt is glad to be back on stage with Tennessee Valley Players. Having been mainly involved in backstage efforts most of her life, she's having fun giving the other side of the spotlight a chance. From debuting as a Munchkin in The Wizard of Oz, to a Bathing Beauty in Of Thee I Sing, Laura is excited to now be a Jet Girl in this show. In fact, she loves TVP productions so much that she married the Director's son! William Bolt William Bolt is pleased to perform in his umpteenth Tennessee Valley Players show and help his parents again with various behind the scenes tasks. He last appeared on stage in TVP's 2016 production of Pirates of Penzance, but you may recognize him as well. from simply taking your tickets for the past five years. Gloria Borum Gloria Borum is very excited to be back with the Tennessee Valley Players again this summer. She played Ensign Sue Yeager in last year's production of South Pacific. She was a member of the Knoxville Choral Society (KCS) for many years and sang yearly at the Clayton Holiday Concerts. Gloria toured Central Europe in 2002 with the KCS, singing in Germany, the Czech Republic, Austria, Hungary, and Slovakia. She has sung solos and in small ensembles at her hometown church. Gloria has participated in Christmas and Easter concerts with the Farragut Presbyterian Church Chancel Choir and UT Chamber Singers. A University of Tennessee graduate with a degree in English, she is a technical writer for a software company in Knoxville. A.C. Cabrera A. C. Cabrera is thrilled to be performing in his fifth show with TVP. 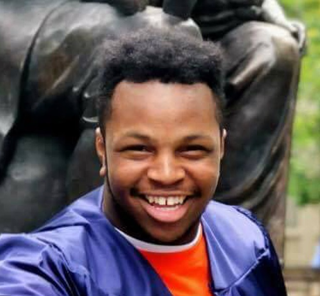 AC is a student at the University of Tennessee where he majors in vocal music education with a minor in saxophone, and is a member of the UT Chamber Singers and the Pride of the Southland Marching Band. AC would like to thank his family, friends, and directors for their support. 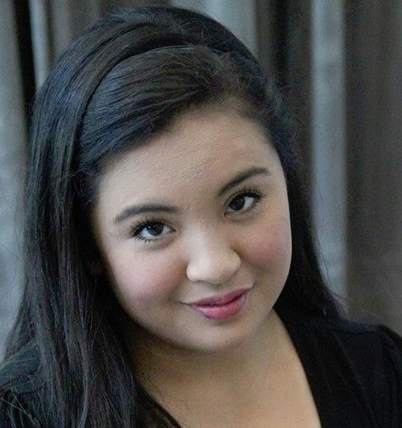 Roxanne Cabrera Roxanne Cabrera is thrilled to be a part of another Tennessee Valley Players production. She received her bachelor degree in vocal Music Education and master's degree in choral conducting from the UT School of Music, where she was a Graduate Teaching Assistant. 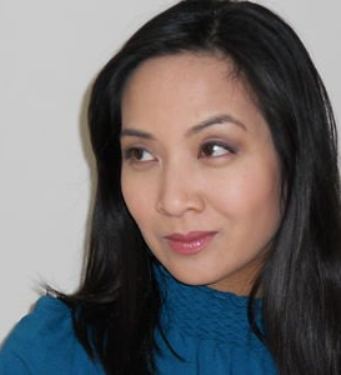 Previous TVP credits include Erma in Anything Goes, Edith in Pirates of Penzance, Eponine in Les Miserables, Anita in West Side Story, and Nurse Janet in South Pacific. She is the Director of Choral Activities at Whittle Springs Middle School and Director of Music at Luminary United Methodist Church. Thank you to all my family and friends for your support and love. Blair Carter Blair Carter is excited to participate in his first production with Tennessee Valley Players. Blair is a rising junior at Karns High School. 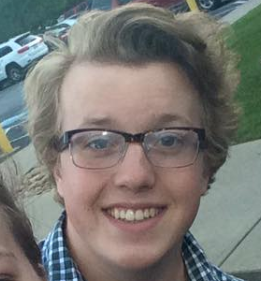 He has participated in White Christmas at Karns and will be a part of the musical at Karns next year, Little Women. 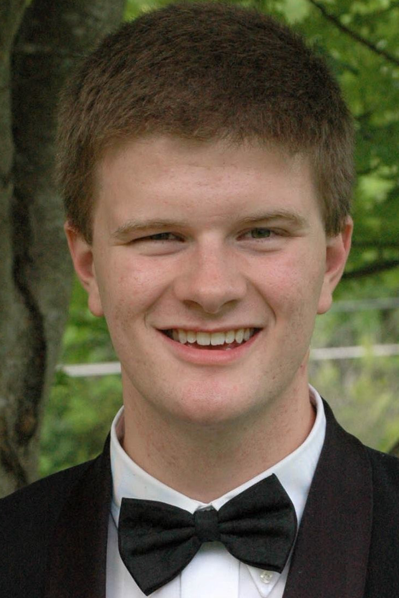 Blair has been a member of the Karns Choral Department in men's chorus, advanced mixed chorus, and the ensemble. Breyon Ewing Breyon L. Ewing was born in Milwaukee, WI, and has lived in Knoxville for most of his life. 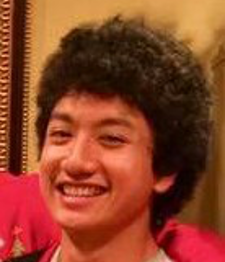 Now attending the University of Tennessee, he is a rising 5th year student working to earn a degree in vocal performance. He has performed in many of UTOT's productions and recently performed the challenging role of Don Ottavio in Mozart's, Don Giovanni. Breyon portrayed the flag-brandishing Enjolras in Les Miserables with the Tennessee Valley Players in the previous season. Breyon would like to thank his grandmother, Mimi, Andrew Skoog, and his friends and family for their endless love and support. Megan Fair Megan Fair is very excited to be doing West Side Story as her first Tennessee Valley Players production. Some of her previous credits include Mrs. Darling in Peter Pan, Princess Fiona in Shrek: The Musical, and Marmee in Little Women. Megan is a rising senior, and she would like to thank her mom, dad, sisters, and friends for supporting her. Jack Francis Jack Francis is excited to perform in his fourth Tennessee Valley Players production. 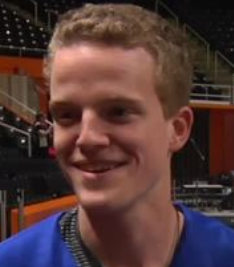 Jack is a senior at the University of Tennessee and is pursuing a degree in vocal music education. He has been a member of the University of Tennessee Chamber Singers, and performed in TVP's production of West Side Story as a Jet, Pirates of Penzance as Frederic and Moonface Martin in Anything Goes. 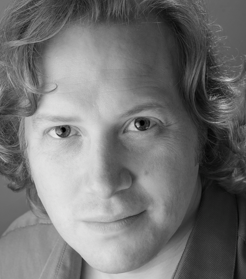 He has also performed in several University of Tennessee Opera Theater productions including Don Giovanni, Medea, and The Magic Flute, as well as Ezekiel Cheever in UTOT's production of The Crucible. Jack would like to thank his friends, family, and colleagues for all of their support. Mariana Garciagodoy Mariana Garciagodoy is currently in the graduate choral conducting program at the University of Tennessee, under the tutelage of Dr. Angela Batey. Originally from Mexico City, Mariana demonstrated early in life a passion for dance and music. Her conducting draws on these two passions and shows the ways in which music and movement are interconnected. 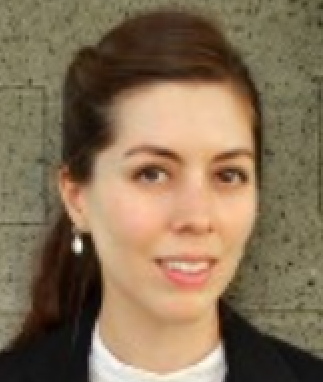 Mariana studied under Dr. Emilie Amrein at Lake Forest College, IL. There she served as the Assistant Conductor for the Lake Forest College Choirs. Additionally, she works with the Soundcompany children's choir and is the happy director of the Junior group. Mariana is very interested in different cultures, and loves the ways in which music overcomes barriers and brings people together, no matter how different their backgrounds are. Bobby Gintz Bobby Gintz is delighted to be appearing again with Tennessee Valley Players. He has performed in three other TVP productions - as Harry The Horse in Guys and Dolls, Bun Foo in Thoroughly Modern Millie and The Captain in Anything Goes. 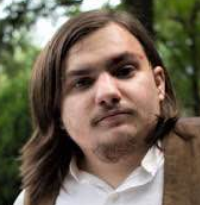 Bobby has also appeared as The Baker in SKIT's production of Into The Woods. He is honored to be a part of this production and wants to thank the cast for their youthful enthusiasm, dedication and incredible talent. He also wants to thank Edmund Bolt, Dr. Angie Batey, Tami Newsom and Nicole Jackson for their untiring professionalism and commitment to getting these hoodlums in line! West Side Story is particularly meaningful to Bobby. As a young child, he clearly remembers Bernstein and Sondheim's powerful score coming from the phonograph, filling the house with beautiful sound while his parents relived their own Broadway experience of the show. This experience kindled in him a lifelong love of musical theatre that has brought incredible joy over the years. Genevieve Hendrix Genevieve Hendrix is a recent graduate of Webb School of Knoxville. She delighted to return to her second season with the Tennessee Valley Players after appearing as Jet Girl Velma in West Side Story. She has appeared in Webb's Dirty Rotten Scoundrels, Jekyll and Hyde, The Cherry Orchard, and The Mystery of Edwin Drood. Her favorite roles include Milady De Winter in The Three Musketeers and The Lady of the Lake in Spamalot. She most recently played Elsie in The Time of Your Life. Genevieve was also a member of Webb's Chamber Singers. For the past six years she has studied musical theater, acting, and dance at the Cumberland County Playhouse performing in Tennessee U.S.A., My Fair Lady, The Music Man, and Footloose. 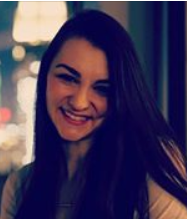 Genevieve will pursue a BFA in music theatre at The Hartt School at the University of Hartford in Connecticut. She would like to thank Edmund, Dr. Batey, and Tami for this opportunity. She would also like to thank her parents for all of the support and time they have spent helping her pursue her dreams. Megan Henley Megan Henley is a rising senior at West High School and is so excited to be a part of her first Tennessee Valley Players production! Her previous and favorite roles include Emily Steiner in an adaption of The Book Thief, Jack's Mother in Into the Woods and Genie of the Ring in Aladdin. This is her eighth stage production and she would like to thank her parents and friends for all their support and kind words. Michael Hines Michael Hines is ecstatic to be in his sixth production with Tennessee Valley Players. Some of his previous credits with TVP include South Pacific (Yeoman Herbert Quale), West Side Story (Action), Les Miserables (Joly), Pirates of Penzance (Pirate). and the illustrious Sailor #1 of the Sailor Quartet in Anything Goes. 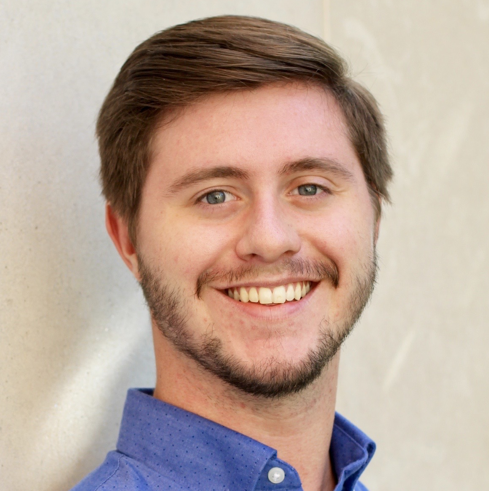 Michael is a rising-senior at the University of Tennessee in Nuclear Engineering, and a member of the University of Tennessee Chamber Singers. He would like to thank Claire for her constant support (and patience!) through the many hours of rehearsal. Michael would also like to thank Dr. Batey and Director Kate for all of the hard work they do to make such an amazing show possible. Brett Hopper Brett Hopper is excited to be a part of Into The Woods, his third Tennessee Valley Players production. 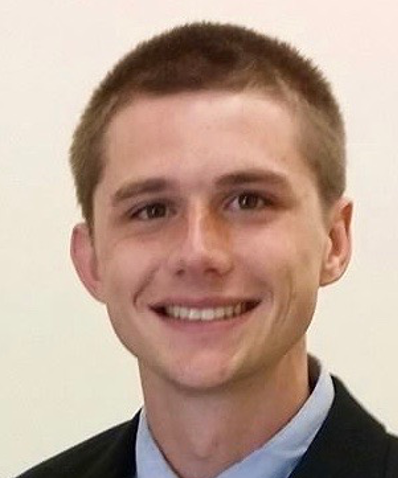 Brett received his bachelor's degree in music education from the University of Tennessee, and is about to enter his second year of graduate school in the Choral Conducting masters degree program. He is a proud member of the UT Chamber Singers, Concert Choir, Men's Chorale, and VOLume. Brett wishes to thank his directors, teachers, and fellow cast members for making this production so much fun. Collin Kasefang Collin Kasefang is thrilled to be participating in his third Tennessee Valley Players show. He worked with TVP in West Side Story as a Jet and Rev. Henry T. Dobson in Anything Goes. Collin has performed other shows with his high school such as White Christmas (Gen. Waverly), Little Women (Prof. Bhear), The Music Man (Mayor Shinn), and The Sound of Music (Capt. Von Trapp). Also, this past summer Collin took part in Tennessee's Governor's School for the Arts specializing in vocal performance with a full scholarship. There they put on the opera Four Saints in Three Acts (St. Ignatius). Collin just completed his freshman year at the University of Tennessee pursuing a double major in vocal performance and music education. He is a proud member of the UT Chamber Singers. Cara Kitchens Cara Kitchens is thrilled to be back this summer in her fourth production with the Tennessee Valley Players. Playing the role of Eponine has been a dream since 6th grade when she saw the professional stage production for the first time. Cara is thankful to her husband, family, and friends for their love and support and ultimately the Lord for the many musical opportunities! A few credits include Maria in TVP's West Side Story, Fruma-Sarah in Fiddler on the Roof, and Philia in A Funny Thing Happened on the Way to the Forum. Madeline Mancebo Madeline Mancebo is delighted to be performing with the Tennessee Valley Players for the second time. 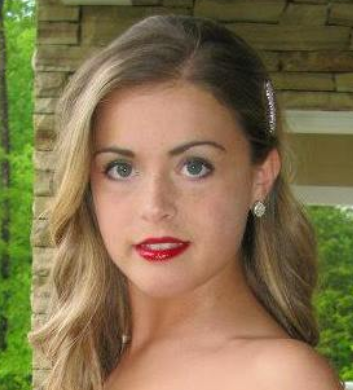 Originally from Knoxville, she is a rising senior at Belmont University, majoring in music business. 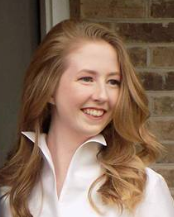 She has performed with the Tennessee All -State Choir as well as the Belmont University Women's Choir. Madeline has been seen in productions including The Wizard of Oz, Joseph and the Amazing Technicolor Dreamcoat as well as TVP's production of South Pacific. She also recently appeared as a swing dancer in a music video by The Time Jumpers, with Vince Gill in their Grammy-nominated song 'On the Outskirts of Town'. Madeline wishes to thank her friends and family for all of their love and support. Phillip Marlowe Phillip Marlowe is in his fifth season with the Tennessee Valley Players. Previous TVP roles include Tony in West Side Story, John P. Wintergreen in Of Thee I Sing, and Danny Churchill in Girl Crazy. Other credits include Gianni Schicchi, The Barber of Seville, La Boheme, Carmen, The Marriage of Figaro, Sweeney Todd, Cosi fan Tutte, The Magic Flute, La Cambiale di Matrimonio, The Mikado, Trouble in Tahiti, Die Fledermaus, Susannah, A Little Night Music, The Telephone, Hansel and Gretel, Faust, Rigoletto, and My Fair Lady. Terrance McBride Terrance McBride is excited to perform in his third show with Tennessee Valley Players. He participated in the TVP musicals West Side Story and Pirates of Penzance. His most recent shows include Phantom of the Opera (Phantom) and Sweeney Todd. Terrance attended Tennessee Governors School for the Arts in June 2015 and studied opera in England in July 2016. He is a graduate of Farragut High School and will be attending Maryville College in the fall as a vocal performance major. Terrance would like to thank his directors, teachers, family, and friends for their love and support. Hannah McGinnis Hannah McGinnis has loved joining the Tennessee Valley Players family this year! She is a junior at Karns High School and loves everything that has to do with musicals. Hannah participated in the Karns productions of White Christmas and The Best Christmas Pageant Ever. She looks forward to performing in Little Women next year as well as serving as president of her school ensemble. 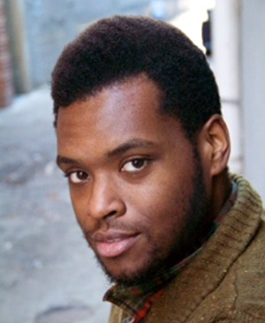 Josh McGinnis Joshua McGinnis is thrilled to participate in his first production with Tennessee Valley Players. Joshua is a rising junior at Karns High School. He has participated in the musical at Karns this year, White Christmas, as well as The Best Christmas Pageant Ever. Joshua is excited to take part in Little Women at Karns next year, as well as being a part of the ensemble presidency. Joshua would like to thank his friends and family for the support and to TVP for allowing him to be a part of this production. Hayden Moneymaker Hayden Moneymaker This is Hayden's first production with Tennessee Valley Players. Hayden is a rising junior at Karns High School. He has been in White Christmas and is cast in next years' Little Women. 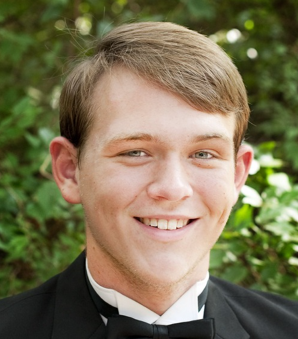 Hayden has been a member of the Karns Choral Department in men's chorus, advanced mixed chorus, and ensemble. He was selected for All-East Choir in 2014. Hayden looks forward to continuing in future TVP productions. Meghan Nelson Meghan Nelson is excited to be in her first Tennessee Valley Players production! A recent graduate of Karns High School, she will be attending Johnson University in the fall. She will be majoring in English and Bible, in hopes of being a high school English teacher. Meghan has been dancing for fifteen years at the Academy of Dance Arts and she is thrilled to dance in West Side Story. Without the love of Jesus, the directors, cast, crew, her friends, and her family, this production could not happen! Tyler Padgett Tyler Padgett is feeling very humbled and nostalgic as he begins his 9th production with Tennessee Valley Players. Tyler is a recent graduate of the University of Tennessee's School of Music and is beginning a master's of vocal performance program at the University of Colorado Boulder this fall. 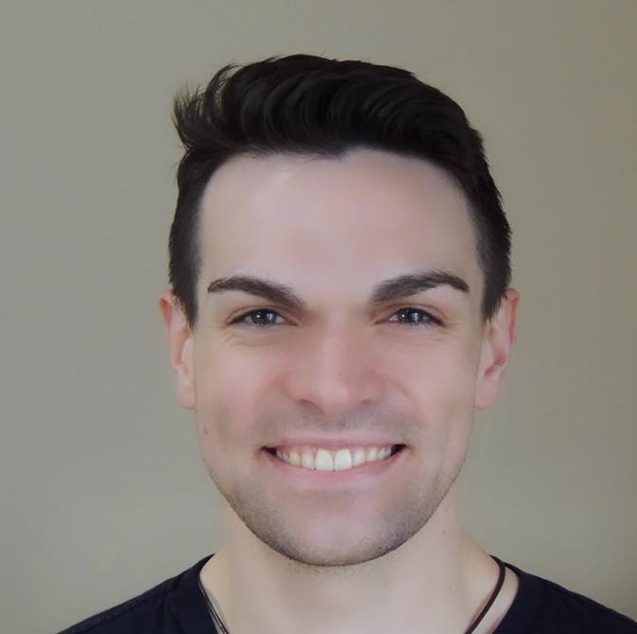 Tyler has had the pleasure of performing in TVP's past productions of Curtains (Bobby Pepper - 2010), Girl Crazy (Ensemble - 2011), Of Thee I Sing (French Ambassador - 2012), South Pacific (Radio Operator Bob McCaffrey - 2013), West Side Story (Bernardo - 2014), Les Miserables (Javert - 2015), Pirates of Penzance (Pirate King - 2016), and Anything Goes (Billy - 2017). Tyler has also had the privilege of performing with the University of Tennessee Opera Theater. His credits with UTOT include The Consul (Mr. Kofner), Don Giovanni (Masetto), Le Nozze di Figaro (Bartolo) and The Crucible (John Proctor). With Tyler's imminent departure from Knoxville, he would like to thank his friends, colleagues, and teachers who have enriched his life and influenced his development as a performer so much over the years. Tyler would like to give special thanks to Dr. Batey, Andrew Skoog, and Judith Bible. Their dedication to being incredible educators will always be a blessing. Tyler would also like to thank his parents for being his first, and always best, teachers and supporters. Matt Parks Matt Parks is appearing in his third Tennessee Valley Players production after performing as Riff in West Side Story in 2014 and Lt. Buzz Adams in South Pacific in 2013. He completed his masters degree in choral conducting at the University of Tennessee in May. 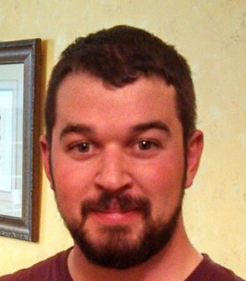 Matt is now looking for work, and if anyone needs a house sitter or plant waterer this summer, please give him a call! He would like to thank professors, friends, and family for all of their support, especially his sweet Momma who flew in from Texas to see the show! Ron Pevey Ron is an Associate Professor in the Nuclear Engineering Department of UT. He got into theatrical performances after moving to Knoxville at the age of 40 and appearing with the Farragut Performing Arts Theater (FPAT, under Victoria Bolen) since he had to be at the practices anyway with his daughters. He met the Bolts while performing with Susan in FPAT's 42nd Street, and was coerced to be in the chorus of Lady Be Good! After that, the bug had bit, and he has been hanging around TVP performances ever since (in one role or another). Kris Phillips Kris Phillips is thrilled to be working with Tennessee Valley Players again; some of his recent roles have been Henri in South Pacific, Senator Lyons in Of Thee I Sing, and The Dropper in the Ladder Plays. 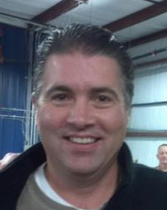 He was also recently given the opportunity to direct The Best Christmas Pageant Ever at KHS. Kris is currently attending Pellissippi State Community College and his favorite activities are movie watching, movie reviewing, and movie movieing. He would like to thank his family and friends that have supported him over the years and to those who didn't he'd like to say... Actually, nevermind, that's a story for another day. Andrew Reddick Andrew Reddick will be a senior this next fall at Karns High School. Last summer he performed with Tennessee Valley Players in the production of South Pacific as a sailor. He is very excited to back this summer. Andrew enjoyed working with all the performers and maintained his new friendships. In the Spring of 2013 he performed in Karns High School production of Hello Dolly, and was cast as Ralph Sheldrake in the production of White Christmas in the fall of 2013. 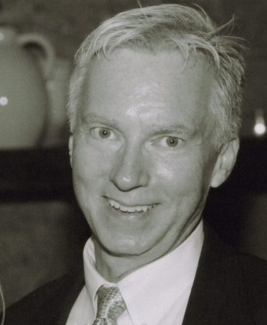 Andrew would like to thank his family and friends for their constant love and support. Taylor Stone Taylor Colton Stone a native of Oak Ridge, is a senior vocal performance major at the University of Tennessee studying with Lorraine DiSimone. He was previously seen in Cosi fan tutte and Il barbiere di Siviglia with the UT Opera, and Sweeney Todd and A Christmas Carol at the Clarence Brown Theatre. This July, Taylor will be performing the role of Gherardo in Gianni Schicchi at the Amalfi Coast Music and Arts Festival in Maiori, Italy. He would like to thank the cast and crew of this production for making the experience so fun! Ethan Ticer Ethan Ticer is pleased to take part in his second show with Tennessee Valley Players. He is a 2012 graduate of the University of Memphis with a bachelor of arts in history. He has thoroughly enjoyed being part of a theatrical performance for the first time since he graduated from high school. He would like to thank Glen Ellington, his directors and his fellow cast members for withstanding his terrifying gaze and his butchering of Queen Isabella's Spanish. He hopes all will enjoy the show as much as he does. Robyn VanLeigh Robyn VanLeigh is super pumped to be in her third show with the Tennessee Valley Players. A native of Lenoir City, Robyn has a bachelor of music degree in vocal performance from the University of Tennessee.. Recent roles include Rosalia, West Side Story; Cassandra, Vanya Sonia Masha and Spike; and most recently Petra in A Little Night Music. This fall, VanLeigh will begin her Master of Music degree at the University of Utah. This is for you Aunt Christy. 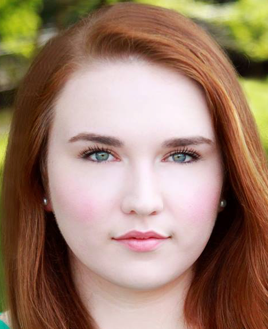 Amber Rose Wilson Amber Rose Wilson is overjoyed to be a part of this production! This is her fifth show with the Tennessee Valley Players and definitely her favorite so far. A graduate of Oak Ridge High School, Amber is a rising sophomore at the University of Tennessee studying communications. Recently you may have seen her as Meg in the Clarence Brown production of Wrens. Her shows with TVP include Kiss Me Kate, Curtains, Girl Crazy, and Of Thee I Sing. Amber wishes to thank her family and friends for always supporting her and Edmund and Dr. Batey for working around her busy schedule. Rick Wilson Rick Wilson is excited to be back onstage with old friends and new ones with the Tennessee Valley Players. Previously, Rick portrayed Sam Mason in TVP's production of Girl Crazy and Louis Lippman in Of Thee I Sing. In addition to dabbling in theatre: Sins & Secrets - Carthage. When not dabbling in theatre or TV, Rick is the QA and Product Test Manager for FLIR Detection in Oak Ridge and is thankful for the support of his wife Andrea and their three children: Amber Rose, Spencer, and Faith. 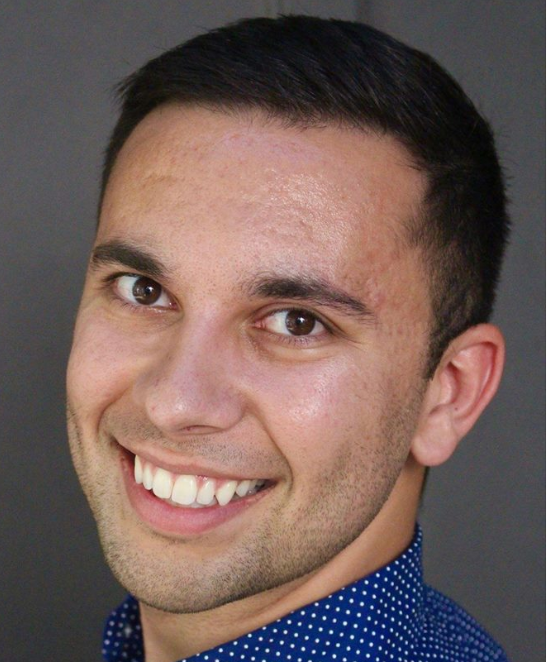 Dzmitry Yuran Dzmitry Yuran is very excited to join the Tennessee Valley Players again this year after a great time in last year's production of South Pacific. A native of Belarus, Dzmitry received his bachelor's degree in communications from the Belarusian State University. 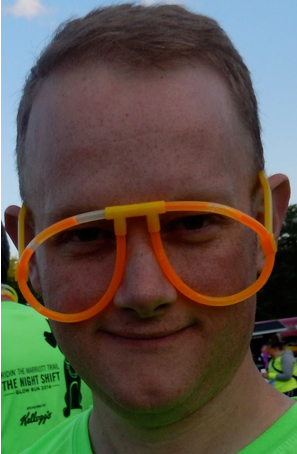 He is currently a Ph.D. student and a graduate teaching associate at UT's College of Communication and Information. 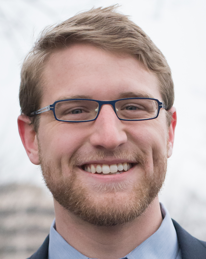 While teaching journalism classes, he researches mass media and mass communication in various political regimes. 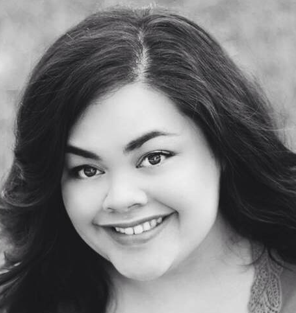 Erika Baldonado Erika C. Baldonado is excited to be performing with the Tennessee Valley Players again this season. She has been seen previously in TVP's galas and musicals Anything Goes, Kiss Me, Kate, and Curtains. Erika feels fortunate to be reprising her role as Liat after performing in Cumberland County Playhouse's production in 2008. She graduated with a degree in mass communications from Emerson College and lived in Los Angeles for several years working in the film and television business. Although Erika loves acting on stage and in films, her favorite role is the real-life one of being a mommy. She thanks her hubby, family and friends for their constant support. Susan Bolt Susan Bolt has performed in the Knoxville area for many years and is happy to say she has loved and enjoyed every moment of it. Favorite performances over the years are ZoZo in The Merry Widow with Mary Costa, Domina (multiple times) in Forum, Mona Kent in Dames at Sea, Madame Arcati in Blithe Spirit, Lady Thiang in The King and I, Mrs. Meers in Thoroughly Modern Millie, Miss Hannigan in Annie, Widow Corney (several times) in Oliver, Bloody Mary in South Pacific, Carmen in Curtains, Evangeline Harcourt in Anything Goes, Ruth in Pirates of Penzance and of course, the wicked Madame Thenardier in Les Miserables! She still enjoys the joys of performance. Much love always to Dr. Angela Batey and Tami Newsom-thanks for all you do! She is also deeply grateful for her family who so kindly put up with her-much love and thanks to Bayless, Brandon, Alex, Taylor, Patrick, Michelle, William, Laura, and Edmund! 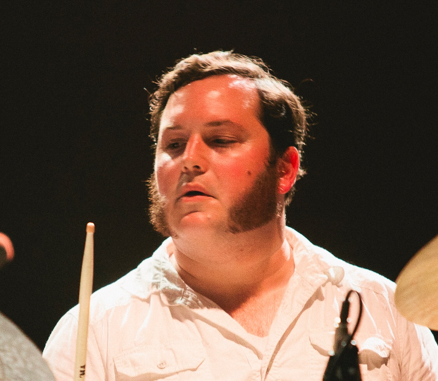 Hunter Deacon Hunter Deacon is a drummer/percussionist who has been playing in the Knoxville area since 2007. Originally from Memphis, he earned a bachelor's degree the University of Tennessee in 2012 with a focus in studio music and jazz. Since then, Hunter has performed all over the US, and as far away as Hangzhou, China. 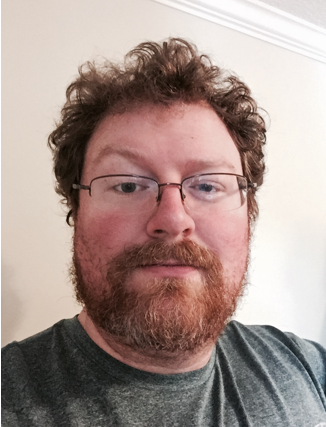 He currently tours with The Jon Stickley Trio, based out of Asheville, NC. Into the Woods will be Hunter's eleventh summer performance with TVP. Melony Dodson Melony Dodson is delighted to return for her 8th summer musical with Tennessee Valley Players. Melony earned her master's degree in Collaborative Piano from the University of TN in 2008 and since then has spent her days hosting the Morning Concert on WUOT, 91.9FM, accompanying the Concert Choir and Men's Chorale at UT, and music-directing musicals with various theatre groups in the area. Recent engagements include I Love You, You're Perfect, Now Change with Theatre Knoxville Downtown, and Legally Blonde at Maryville College. When not playing the piano, she loves hiking, camping, gardening, cooking, and drinking craft beer with her boyfriend. Carol Idol Carol Idol has been involved with Tennessee Valley Players for many years as a back stage assistant, dresser, and stage manager. She also has had memorable roles as a walk-on in a variety of roles: stage manager, cleaning lady, waitress, congressman, Supreme Court Justice have been high points. 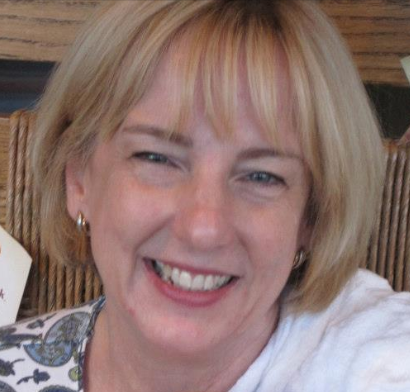 A devoted lover of community theatre, Carol is much beloved for her positive outlook and giving spirit. There is no doubt that many TVP casts and crews benefited from her work. Thank you, Carol. We love you! Diane Keefe Diane Troch Keefe is pleased to be supporting this wonderful production. She performed on stage in Tennessee Valley Players productions of Girl Crazy (2011), Of Thee I Sing (2012), and South Pacific (2013). Diane is a Lifetime Member of Dance Educators of America. She owned and operated the Miss Diane School of Dance for over 20 years in New York. 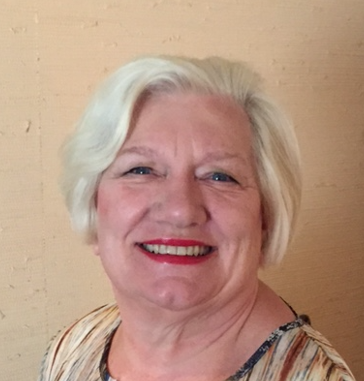 After moving to Tennessee, Diane operated the After School Dance Program at the Farragut Intermediate School and at the Westside Unitarian Universalist Church. 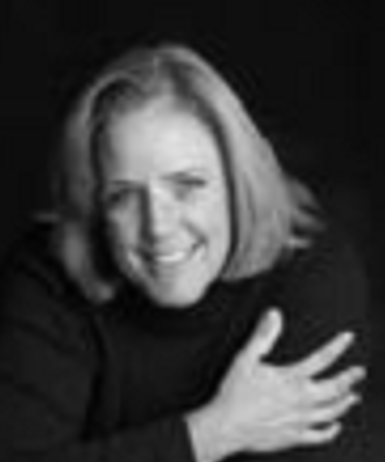 Diane choreographed, produced and directed numerous Dance Recitals as well performances for the Farragut Intermediate School, St. John Neumann School, the AARP and other organizations through the years. Diane has also been seen in The Wiz at the Oak Ridge Playhouse. Nancy Pevey Nancy Pevey is pleased to add her talent to this production of Into The Woods, having previously appeared on stage for the Tennessee Valley Players productions of No, No, Nanette, Of Thee I Sing and South Pacific. She has also played horn in the orchestras of Thoroughly Modern Millie, Anything Goes, Kiss Me, Kate and Curtains. 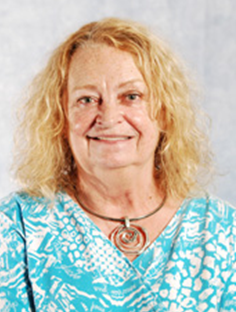 During the day, she is the Dean of Mathematics at Pellissippi State Community College and QEP Director for the college. 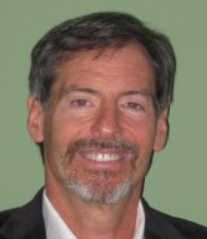 Pevey also serves on the TVP Board of Directors. David Raulston David Raulston is excited to be in yet another Tennessee Valley Players production. He was last seen in TVP's production of My Way: A Tribute to Frank Sinatra. David has enjoyed many roles over the years starting with Uncle Sam in preschool to most recently Melchoir (Two From Galilee), Smee (Peter Pan), Mr. Marks (The Producers), The King (Rodgers and Hammerstein's Cinderella), as well as a non-speaking role in Angel Street. He also lent his voice and musical talent to Norris Little Theatre's production of A Grand Night For Singing. He has enjoyed working backstage as well on productions of My Fair Lady, Wait Until Dark, The 39 Steps, Hairspray and On Golden Pond. David would like to thank the cast and crew for a wonderful experience and his family and friends for all their love and support. 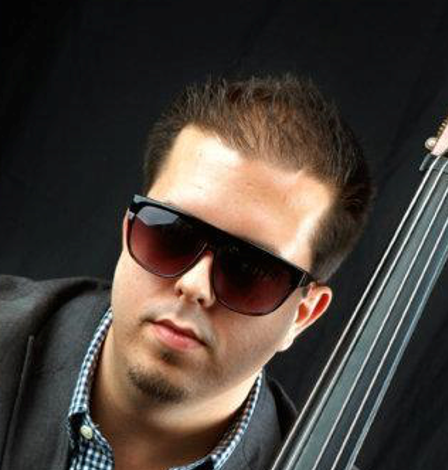 Daniel Shifflett Daniel Shifflett graduated from the University of Tennessee in String Bass performance and Studio Music and Jazz studying under master bassist, Rusty Holloway. This is Mr. Shifflett's seventh consecutive season with the Tennessee Valley Players. He has toured nationally, with Broken Bow Records artist, Jackie Lee, along with touring internationally to countries including India and Canada, with rock band, Gone in April. Mr. Shifflett has also performed with country music star, Easton Corbin. He is an active clinician and teacher of the electric bass and string bass. 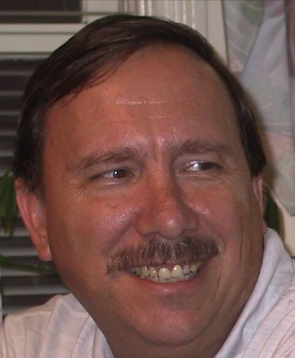 Mr. Shifflett also serves as the Technical Director for Concord United Methodist Church. Additionally, he performs with the Chattanooga Symphony on a regular basis. You can also catch Mr. Shifflett performing frequently in Knoxville, Maryville, Nashville, Chattanooga, Johnson City and Kingsport. Kevin Smathers 'Kevin' E. Smather's is the Senior Naval Science (Navy Junior ROTC) Teacher at Farragut High School and a retired Navy Commander. After a 5-year absence, he is happy to return to the Tennessee Valley Players' stage. Most recently he was seen at Oak Ridge Playhouse as Peter Austin in It's Only a Play. His debut at the Playhouse was as Frederik Egerman in A Little Night Music. 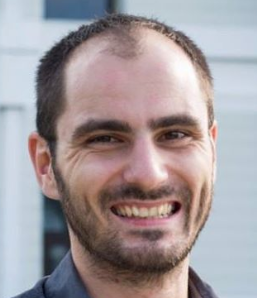 He has also appeared in TVP productions including: Curtains (Frank Cioffi), Guys and Dolls (Sky Masterson), Anything Goes 2008, (Moonface Martin) and Girl Crazy (Gieber Goldfarb). Also, The Fantasticks (El Gallo) with Pellissippi State Technical Community College; and Fiddler on the Roof (Lazar Wolf) with Foothills Community Players. The acting 'bug' bit many years ago at Appalachian State University when he was cast in Bus Stop (Bo Decker). Many thanks to the many directors who understand that he is always the last to be 'off book'.